When it comes to managing your finances and improving your financial wellbeing, the toughest and perhaps most important part is admitting that you need help in the first place. There are times in our lives where we've all turned a blind eye; we've all been in a situation where it is far easier to ignore a problem than to face up to the harsh reality. In some situations that can work out just fine. I recently (and somewhat conveniently) forgot to reply to a text from a friend and as a result, I was spared an entire evening sitting in an overly-priced gastropub listening to how unbelievably successful he is. Your finances shouldn't be conveniently forgotten however and so once you've made that important first step and understand that something needs to be done, everything else becomes that little bit easier. In this article, I explain how you can improve your finances in a few simple steps, how to save money, how to make your money go further and reveal the best way to improve your finances using a simple online tool that will provide you with a free step-by-step solution. I need help with my finances, where do I start? Firstly, there is no set rule. There isn't a magical solution that will work for anyone in any given situation. Everyone is different and as a result, everyone will need to apply a slightly different solution. It is important to remember that it is not a race. Don't try and do too much too soon as you will put too much pressure on yourself, lose focus and are therefore far more likely to fail and go back to your old ways. If you have ever tried to lose weight you will know that the most effective way to lose weight (and keep it off) is to lose it gradually, by altering your lifestyle, not just your diet. Crash dieting works in the very short term but ultimately leads to failure, and it is no different when it comes to your finances. Rather than just focusing on the problem, you need to dig a little deeper and understand the cause of the problem. If we go back to dieting for a second, rather than simply saying 'I'm overweight, I need to diet', a far more sensible approach would be to say 'I've been far less active recently and I've had too many takeaways, I need to get active and find time to cook'. Often, by understanding the cause, you can make subtle changes that are achievable and can be sustained long term. If we were to use a finance example to demonstrate our dieting analogy, you could substitute 'I have no money, I need to extend my overdraft' with 'I've not checked my bank statement in a while, can I cancel some subscriptions or make a saving on my utilities?'. If you tackle the cause, you'll find your solution; a solution that doesn't involve eating lettuce or extending your overdraft. While there is no set rule, I have set out below a sensible strategy on how to manage your money effectively. It is accepted that when it comes to managing your money, tackling debt should be your priority, ensuring that minimum payments are met and then prioritising your debt by paying off those with the highest interest. There is no point for instance in putting money into a savings account that pays 0.20% interest when you have a credit card that you are paying 21.9% APR on. Focus on making your money go further; can you cancel any subscriptions? Can you make a saving on your utilities? Cut down on your discretionary spending if you can and use the savings to pay off the debt with the highest interest. Check whether you are entitled to any benefits such as tax credits or married persons allowance; I recently found out I was entitled to married persons allowance and not only was I able to claim for it, I had the option of backdating it up to four years. Can you increase your income? Perhaps you are due a pay rise or maybe you can demonstrate that you deserve to be moved into the next pay bracket. Is it time to move on and pursue a new career? Consider a second source of income. I enjoy writing and while my wife gave up work to have our second child, I was able to earn a second income writing books. Set budgets and keep track of your money. The more you know, the easier it will be to keep on top of things. In our article the best budgeting apps in the UK: How to budget without trying, we review the best budgeting apps in the UK, most of which are completely free. If you have no debt then you should create an emergency fund or 'cash buffer'. This is an emergency fund that you can call on should the worst happen. Once you have a cash buffer, you should focus on tax efficient savings such as ISAs or pensions. Check out our articles on the best stocks and shares investment ISAs and the cheapest SIPP - the best value pension for you. If you have the option of a work-place pension, get yourself enrolled. Employers will often match what you put in and there are additional tax reliefs which you can take advantage of. If you already have a good understanding of your finances (and have applied most or all of the steps above) and want some guidance in terms of an actual strategy or principle, then you could consider the 50/30/20 rule. It is a simple budgeting principle to help you stay on track and it allows you to separate your earned income into three categories, the needs, the wants and finally savings (or debt). 50 (The 'needs') - According to the 50/30/20 rule, 50% of your income that should be spent on your needs. These are the essentials such as mortgage or rent, car payments, utilities and minimum payments on debt. 30 (The 'wants') - The percent of your income that should be spent on wants. This is non-essential expenditure and can include phones, internet, dinners out, movies and that must-have handbag or watch. The 50/30/20 rule can easily be maintained over the long-term as it gives plenty of weight to the 'wants'; using the diet analogy, it effectively means you can still have the odd cream cake (for good behaviour), something that is crucial to maintaining things over the long-term. What is the best money health check tool? 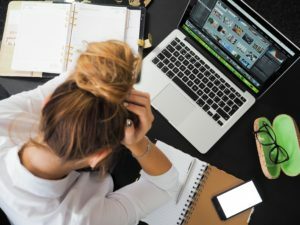 If the process of understanding your finances and managing your money better is a little daunting or if you simply can't find the time, there is a way you can improve your financial wellbeing in just a few minutes. Help people with their finances in just a few minutes and from any device? Provide an accurate and completely bespoke assessment of their finances, anonymously and allow them to see how they measure up compared to everyone else? Help them take to take the necessary actionable steps to improve their finances, in order of priority? The answer was yes and a little over six months later, Money to the Masses launched Damien's Money MOT, a simple money health check tool. By answering just a few simple questions (anonymously), without the need to register or provide complex paperwork, the free tool will provide you with a Money MOT grade (from A to E). You will get a detailed breakdown of the areas of your finances that may need attention (and will include everything from bills to wills). 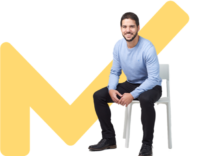 Importantly, with Damien's Money MOT you'll get to see how you measure up compared to the thousands of others that take the MOT, and ultimately, (spoiler alert) demonstrate that things improvement is not only possible, but relatively easy to achieve. Finally, and perhaps most crucially, you can sign up to receive Damien's free action plan, a step-by step plan that is personally tailored to you. The plan can be delivered via a series of daily or weekly emails (you choose) and is focussed on improving your finances (as well as your MOT grade which we encourage you to re-take) in order of priority.